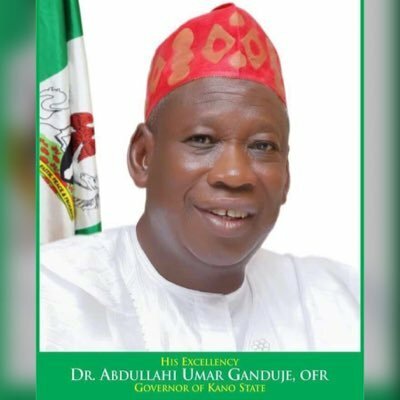 Nigerian security agencies are currently analysing a number of video clips showing the APC governor in Kano state, Abdullahi Ganduje, receiving $5 million bribe. two agencies have been asked by President Muhammadu Buhari to file a report and submit to him in earnest. Plot to remove the governor, who is gunning for his second term on the platform of ruling APC thickens by the day as the President explores all the options available. “The governor is in danger. He is still in Abuja searching for a way out. His plan to settle at least 3 people who possess the clip has also failed. The governor is now planning how to hire fake activists and engage in a media war to discountenance the videos,” a source who preferred not to be named told the reporter. Recall that the newspaper had exclusively reported that a Nigerian governor from one of the North West states was caught on spy camera receiving kickbacks in hard currency for various projects executed by his administration. Daily Nigerian said they will publish the videos soon.